"The CPSM boot camp from Jack Quinn Solutions was exactly what I needed. I am a working professional with a family, and I needed to focus on effectively studying for all three CPSM exams. Signing up for the course was the first step. From there, Randy and Ralyn gave me the study plan and motivation necessary to prepare for the exams. As a result, I passed all three exams at my first attempt (within 30 days from attending the boot camp). I highly recommend this if your time is limited and valuable." "I attended the 3 day CPSM boot camp in 2015. As a new Sourcing Manager, I was actually more interested in learning the language and techniques of Sourcing than I was becoming CPSM certified. The program satisfied my primary objective and also helped me through the testing process. Throughout the boot camp you will not only get an in depth view of the CSPM content, but you will walk away with a set of test taking tools that will equip you for the 2-3 hours you’ll spend in testing at each level of the certification. I recommend attending the course; I achieved my CPSM & CPSD within 12 months of attendance in the first round of testing." "If your looking for a training course that can elevate your career as a Supply Chain professional then the Supply Leaders Academy is for you. 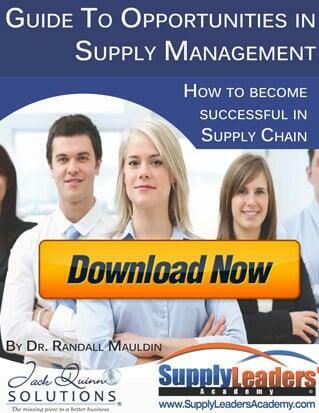 The people at Supply Leaders Academy are committed to helping you advance your career in Supply Chain. In addition to live webinars and study plans the design of the course allows you to access to case studies recorded lectures,& mind maps. The course uses real world examples/exercises that allows you to grasp the information needed to pass each exam in a timely matter. Also they teach you how to implement the strategic concepts into your daily task to show your value to others. After completing the courses I was able to pass all exams for the CPSM & CPSD the 1st time taking them." "Dr. Randall is very knowledgeable in the area of supply chain management. I took his CPSM bootcamp preparation course in the spring of 2012 and after following his test preparation plan (including his nutrition suggestions for remaining mentally sharp), I passed the exams and received my CPSM certification that same year. Not only did I pass the exam, but all of 3 my fellow co-workers who took Dr. Randall's class also passed the CPSM certification shortly after taking his course. As a department, we are now looking at procurement more strategically and are partnering with out customers to obtain cost savings and streamline procurement processes for ourselves, the customer and the supplier. I highly recommend that all supply chain professionals seek certification to highlight their professionalism in this growing career field." "This has been the best hands-on class pertaining to preparing for a certification or bootcamp that I have ever partaken. We were well prepared, well informed, and well equipped, before even setting a foot in the classroom...Overall the CPSM Certification Boot Camp was excellent. I would definitly recommend this course to others"
"The CPSM Certification has helped me achieve a professional designation that has not only increase my professional credibility, but also increased my salary and assured my position at the company. Additionally, my company has achieved significant cost savings as a result of my implementing the concepts learned in the CPSM Certification training. I highly recommend that all supply chain professionals seek out certification to highlight their professionalism in this growing career field." "I attended a different CPSM review course a couple years back...it definitely can not even compare...! This Boot Camp surpassed my expectations to help me prepare for the CPSM exams." 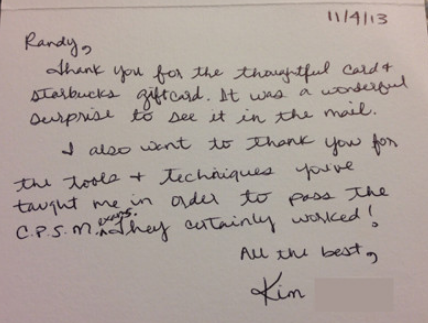 "This was one of the best training classes that I have attended in a long time. Randy was very knowledgeable and was able to explain the material in such a way that all of us could apply it to our individual organization's supply chain culture." "I really felt that my time spent was well worth it. I feel more confident now that I will pass the CPSM exams before the class." "My CPSM Certification has helped me achieve a professional designation that has increased my professional credibility, especially with those who recognize the importance of my position in government. Additionally, by using concepts learned in the CPSM Certification training, we have increased our efficiency and reduced cost. I highly recommend that all supply chain professionals seek out certification to highlight their professionalism in this growing career field, especially those in government positions." "Absolutely loved this class! I will recommend this to my peers and anyone interested in passing the CPSM. I am more confident and feel more prepared to take the test"
"I don't think I would have passed the exam without having taken this class. It was exactly what I needed."